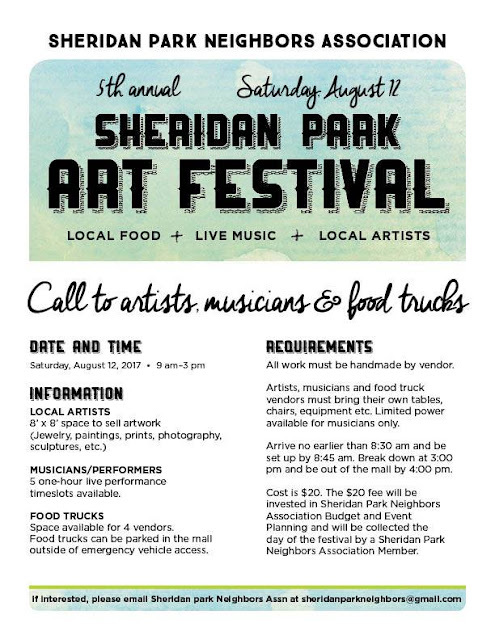 "The Sheridan Park Arts festival is back! 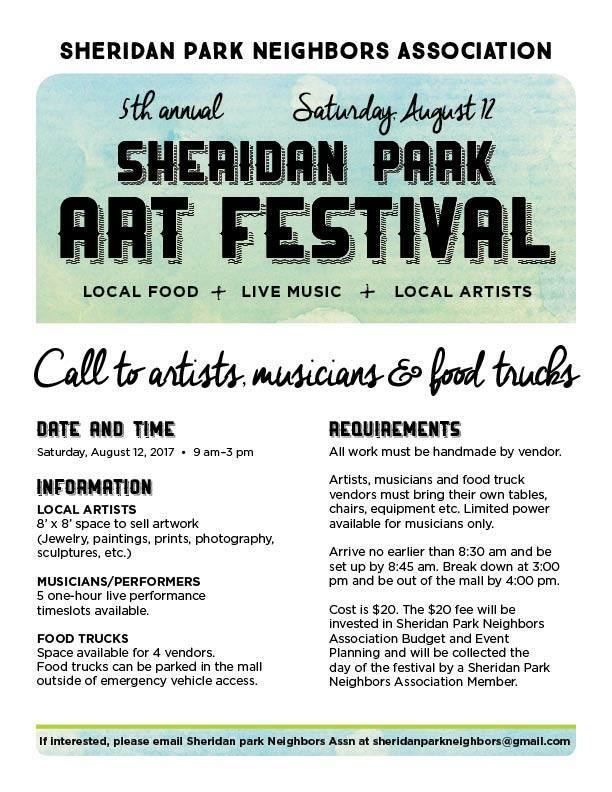 We're looking for artists, musicians and food trucks or vendors to participate in our Sheridan Park Neighbors Association Arts Festival on the Sunnyside Mall Uptown on August 12! All the details are on the flyer - contact us if you want to participate, or know someone who does!